Madison Area Memorial Day Fun! Memorial Day is right around the corner and it is the unofficial start of summer! The Madison area is host to many fun events for everyone to enjoy, so plan your weekend now with some of the below events. Have a safe and fun holiday weekend! Madison – Brat Fest, May 28-31: The World’s Largest Brat and Music Fest, featuring over 200 performances of free live music and fun. Willow Island at Alliant Energy Center. Brat Fest is 4 days filled with music, food and fun in the heart of downtown Madison. The World’s Largest Brat Fest is held every Memorial Day weekend – rain or shine – with all proceeds benefiting the local charities that help to staff the event. Brat Fest is also about enjoying good food at great prices while celebrating Wisconsin’s heritage and the people who make Madison a great place to live. And, a place where the cooking is done for the celebrating families and groups of friends.For more information call (608) 236-2035. 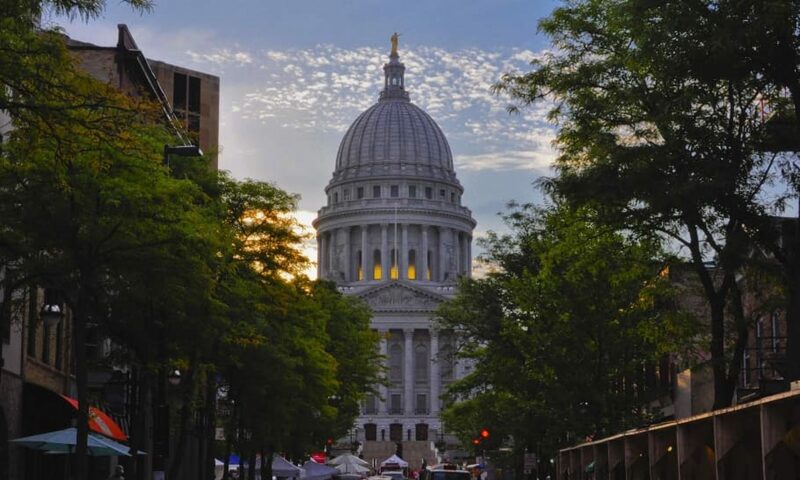 Madison Marathon-May 29-30:The Madison Marathon is held on Memorial Day weekend and consists of a marathon and half marathon that begins and finishes at Alliant Energy Center. A Quarter Marathon, a first of its kind in the country, was added in 2008. A Health & Fitness Expo is held on Saturday; the races are on Sunday. American Cancer Society became MFI’s charity partner in 2007; they provide some of the volunteers and offer the ACS Charity Runner Program which brought them over $50,000 their first year. Johnson Creek – Memorial Day Sidewalk Sale. Kick off summer fun and shopping with the first sidewalk sale of the season! Johnson Creek Premium Outlets. For more information call (920) 699-4112. Black River Falls – Memorial Day Pow-Wow, May 29-30: Black River Falls Memorial Day Pow-Wow – Memorial Day Weekend. Hwy 54 in Black River Falls. For more information call (800) 404-4008.